Stern 2007. Pat Lawlor designed pinball (designer of many Williams classic pinballs including addams family, twilight zone, etc). 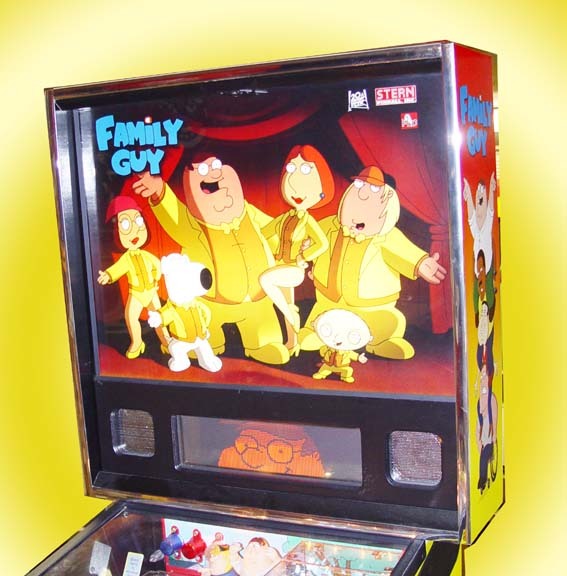 The FAMILY GUY pinball machine features exclusive never before heard phrases by FAMILY GUY show creator, Seth McFarlane. Seth offers up plenty of hysterical lines as Peter Griffin (the father), Brian Griffin (the family dog), Stewie Griffin (the baby who wants to take over the world), and other characters from the show. 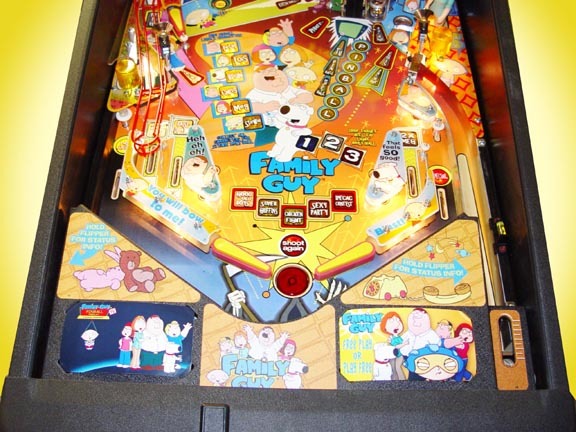 The FAMILY GUY pinball offers three different adjustable levels of speech (Adult, Moderate and Family). 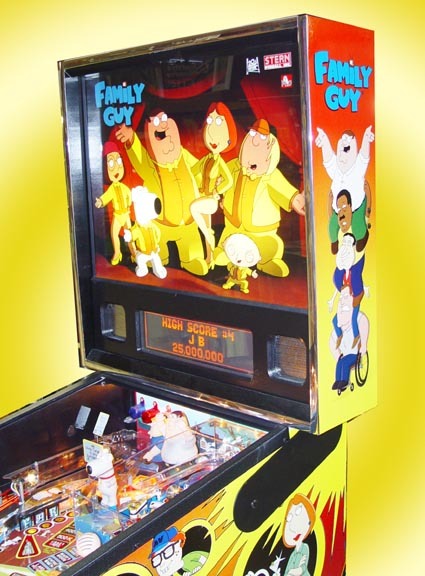 The FAMILY GUY pinball machine introduces a unique element to pinball ï¿½Stewie's mini-playfield. 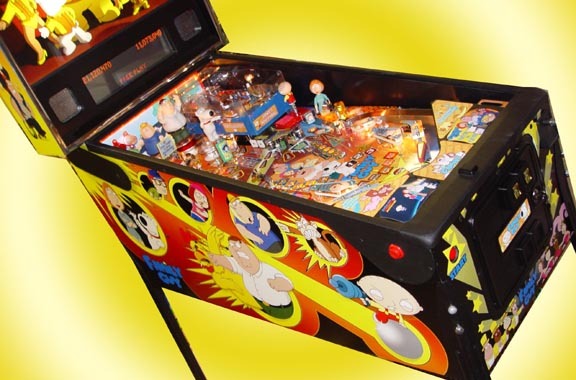 Stewie's mini-playfield is a small pinball playfield that sits in the upper right hand corner of the main playfield. 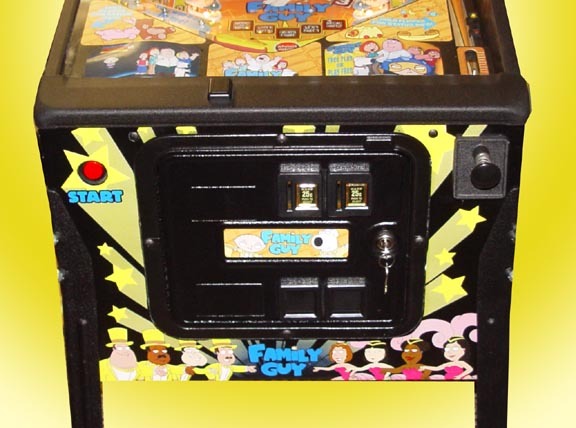 It has mini-flippers that the player controls with the regular flipper buttons when the game is in 'Stewie mini-playfield' mode. 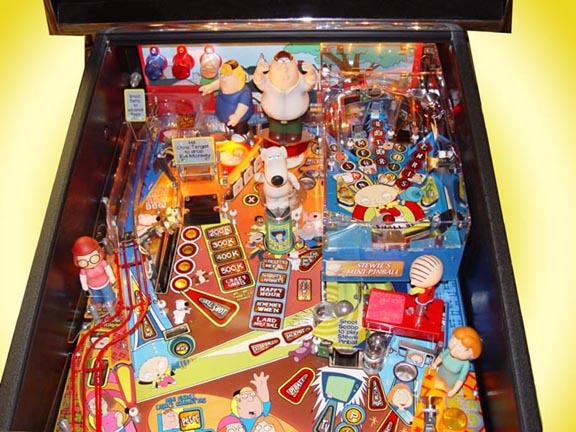 The mini-playfield even has ramps and targets to shoot at while a toy of Stewie turns on its axis in front of the mini-playfield and taunts the player into believing they have no chance of beating Stewie. 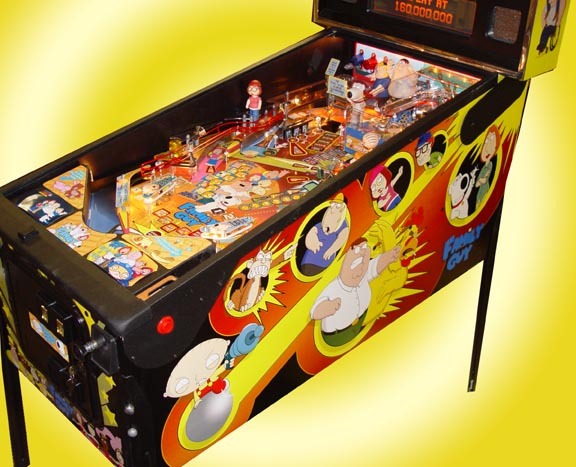 Buy a home use only pinball (very low play), and save a $1000 off a new pinball, but you still get the reliability of owning a late model almost new pinball.